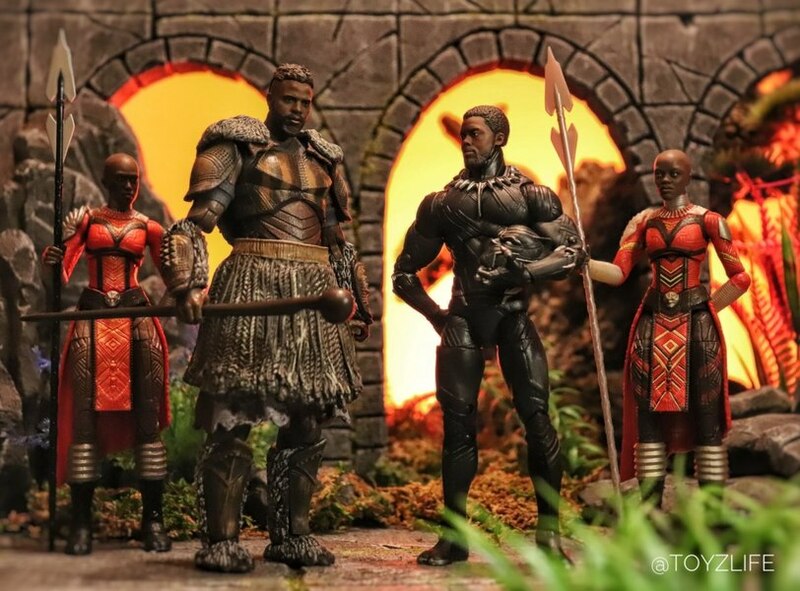 For today's photo we are spotlighting Photographer Toyzlife and his photo showing off the New Black Panther Marvel Legends M'Baku figure. The photo is titled "Wakanda". You have the M'Baku wave in hand?! I am so jealous! Nice set up. also, I just realized that they could've made a new head sculpt for this Black Panther's mask. It could be better and I think the new face printing tech could've been used for the mask. omg this is great, i love the diorama. Beautifully done! The background is especially perfect and it really does look like it's lifted straight from the movies! M’Baku!!! I can’t look at that figure and not hear the chant in my head. Really awesome how deep the roster for BP is now in plastic form.